Mint comes in many varieties, from the well-known peppermint and spearmint to exotic chocolate or pineapple mint. Mint is one of the easiest plants in the garden to propagate and can be done several different ways. In fact, it's so easy to propagate mint that it sometimes propagates itself and spreads like wildfire. Take root cuttings. The roots travel just under the surface of the soil, sending up new shoots every few inches. Cut off 2- to 4-inch pieces of the mint's roots. Pot them up in individual 2-inch pots. Put the individual pots into the shade and keep them moist until you notice leaves beginning to grow in two to four weeks. At this point they can be transplanted into the ground where you want them to grow. Propagate mint by root division. Dig up your mint plant and place it on a hard surface. Use a sharp knife to slice the plant into smaller sections, making sure that each section has some roots and some leaves. Replant the divisions directly into the ground and keep evenly moist until new growth begins. Fill the plant pot nearly full with compost or potting soil. Water soil until it is damp but not completely saturated. Take a pinch of mint seeds from the packet and scatter the seeds over the top of the soil. Place the plant pot in a clear, plastic or polythene bag, with the opening of the bag toward the top. Tie the top of the bag closed to prevent the soil from drying out. Set the pot in an area with full light and a temperature of between 69 and 75 degrees Fahrenheit. Remove the plastic when the seedlings appear through the soil and mist the mint with a water bottle. The seedlings should appear two to three weeks after planting. Thin the mint seedlings by removing the seedlings from their original pot and transplanting them into several new pots, filled with top soil. Distribute three to four seedlings per new pot. Perilla mint contains ketones, which cause acute respiratory distress syndrome in several ruminants, including cattle and horses. Unfortunately, this disease is fatal. Moreover, perilla mint steals nutrients, water and sunlight from desirable plants and grasses. Several herbicides are effective against perilla mint, generally killing 80 to 90 percent of the weed. These herbicides include 2,4-D, Forefront, Milestone and Weedmaster. These herbicides do not injure grass forages. Due to the increased toxicity in the flowers of perilla mint, the key to non-chemical control involves preventing flower formation. Do this by mowing before flowering (i.e. late April to early June). Where invasion is limited, the weeds can be pulled by hand or with a garden hoe. Harvest sprigs of mint throughout the growing season for fresh cooking ingredients or to add to beverage such as iced tea or mojitos. Do this by cutting sprig halfway down and pinching off the leaves. Pinch the ends of the stems off every spring season. This helps ensure that the mint plant will grow healthy and bushy. Since mint blooms from June to September, it is important to trim these back before the buds open to prevent rapid spreading. Make sure to pull up runners that thrive along the ground by trimming them back to the root and pulling them up. This helps the mint from becoming woody. If you feel the mint is spreading too much, use the pruning scissors to trim back the plant to the base. Prune the mint plants back to ground level at the end of winter each year, and spread a layer of compost on top. Mint generally repels mice quite effectively. Mice dislike the smell of peppermint and avoid it. Put several drops of peppermint oil on a cotton ball and place it where mice enter and exit a room. Native to Europe, spearmint is referred to in the Bible as a tithe offering by the Pharisees. Romans cultivated spearmint and introduced it to the English during their conquests. Before refrigeration, crushed spearmint was added to milk to keep it from curdling. Modern recipes ranging from savory to sweet call for the refreshing flavor of spearmint. The menthol contained in the leaves tricks the tongue into feeling like it came into contact with something cold. American Southerners popularized the practice of adding a sprig to iced tea or a mint julep to increase the refreshment quality of a cold drink. 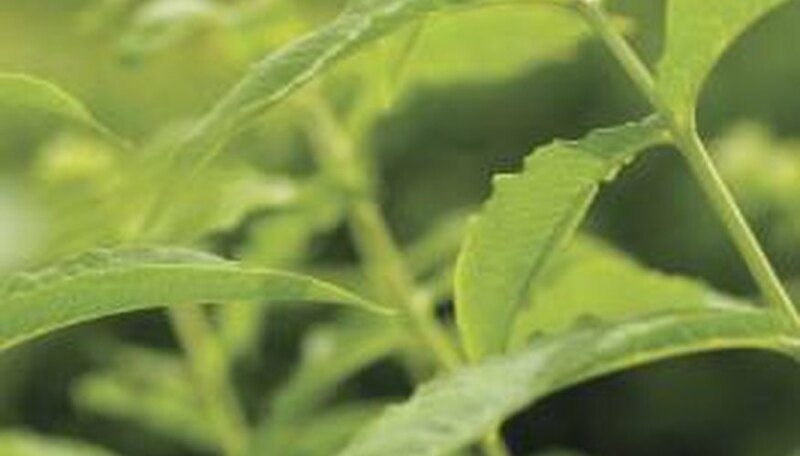 Early doctors used spearmint tea to cure colds, headaches and stomach problems, including vomiting and gas. Physicians often treated infant colic with a bit of spearmint tea. Housekeepers during the Middle Ages used spearmint as a strewing herb, a fragrant plant thrown on the floor of a dwelling to freshen the air. It had the added advantage of repelling insects, mice and rats. According to Maryland Cooperative Extension, mint plants repel mice, however researchers at the University of Idaho Extension found dried mint was not effective at repelling mice from trying to access stored food. Remove the mint plants manually using your hand or a garden tool like a spade. This is best for small mint plants, especially the type that form a groundcover, but may be more difficult with shrub-like mint plants, such as Austrian mint. Solarize low-lying mint plants, like the spearmint variety. Cover the mint plants with a sheet of plastic, weighed down at the edges with bricks or rocks. The heat from the sun will bake the plants and kill them over the course of four to six weeks. Use pruning shears or a saw and cut down the mint plant if it's a shrub-like variety. Paint the remaining stump with a standard stump killer herbicide, available from nurseries and garden stores. This kills the mint plant's root network and prevents the stump from creating new shoots. Spray the mint plants with a glyphosate-based herbicide. Glyphosate is systemic and kills all vegetation. Apply according to the herbicide's label, as toxicity varies by product. The mint will die within 14 days. Examine the leaf. Mint commonly has a nubby texture on the leaves, and grows in tightly clustered crowning leaves from the stems. The color should range from medium dark green to dark emerald green. Remove one of the leaves from the stem and crush it between your fingers. It should have a distinct, strong mint fragrance. Observe any present flowers, as these vary from each mint plant variety. For example, spearmint and peppermint plants have purple flowers. Usually the flowers are small and oddly shaped. Examine the location of the plant. Mint flourishes in moist soil with partial shade, although it can grow in full shade. It will not grow in rocky or dry soil. 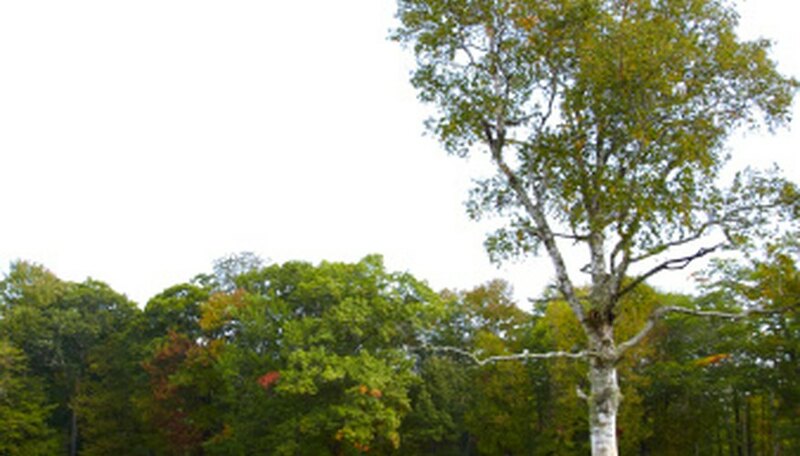 The plant can grow from crevices or cracks, or grow along the ground as a runner. 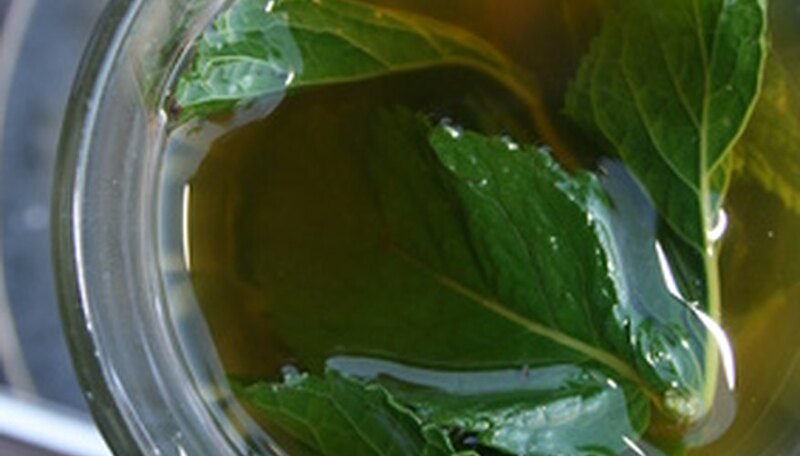 Steeping mint leaves in hot water creates a soothing mint drink, traditional in North Africa. Crushed mint leaves combined with bourbon, sometimes sugar and ice results in a mint julep. Add mint leaves to freshly brewed iced tea or lemonade for a twist on a cooling summer classic. Middle Eastern cuisine adds mint to savory meats entrees such as lamb. Mint sauce also accompanies roasted lamb in western societies. Thai spring and summer rolls use whole mint leaves wrapped with the fillings to add a freshness to the dish. Tabbouleh, a Middle Eastern salad, combines chopped mint with bulgur wheat, chopped tomatoes and chopped cucumbers for a side to accompany any meal. Chop mint leaves and stir them into side dishes, as this herb pairs especially well with fresh peas, carrots, beans and potatoes. Couple mint with fruits such as berries and melon for a brighter flavor. 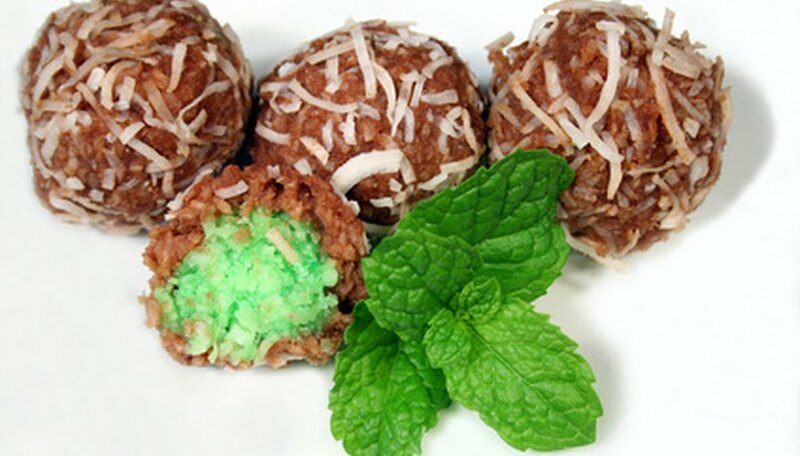 Mint pairs with chocolate in many desserts, from chocolate covered mint cookies to mint chocolate chip ice cream. The bright, cool mint flavor contrasts with the deep, richness of chocolate, making these an ideal pair. Decide on a location. Because it is very invasive and prone to taking over a bed, most veteran gardeners plant spearmint in pots or containers. Locate the spearmint where it will get partial shade. A traditional place to plane spearmint is underneath a dripping yard faucet. Use good soil. Spearmint likes rich, well-drained soil. A pH value of 6.5 to 7.0 is best for growing mint. Soil additives, such as compost or manure, are good for mint. Decide between cuttings or seed. Many gardeners have trouble propagating spearmint from seeds. Mint is easy to grow from cuttings. Seedlings are usually available from a nursery or ask a fellow gardener for some. Plant these after all danger of frost has passed. Spearmint plants need room and will spread; space them 36 to 48 inches apart. If starting with seeds, sow indoors 8 to 10 weeks before the last frost. Water frequently. Spearmint thrives in moist soil but do not over water. Water at regular intervals for best results. Harvest when the spearmint starts to bloom. Remove up to a third of the spearmint plant, branch and leaves. The remaining plant will re-grow for later harvest. Use the leaves immediately; spearmint does not dry well. To use: Put a spoonful if concentrate in a dish and add hot hot water to form sauce. Recipe courtesy of Fresh-Herb-Recipe newsgroup. Click Here to subscribe.